Spider-Man is a fictional superhero created by Stan lee and Steve Ditko. 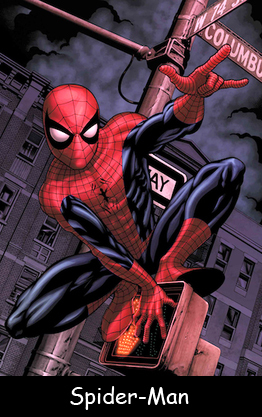 Spider Man appeared for the first time in August 1962 in Amazing Fantasy #15. Stan Lee created this character by watching a fly. He initially named this superhero ‘Stick-to Wall Man’. He tried out a few other names as well, like Insect-Man, Fly-Man, and Mosquito-Man until he finally found the most dramatic of all of them ‘Spider-Man’. Your favorite superhero was once a part of the Fantastic Four. At that time, they called it the Future Foundation. Spider-Man was the first teen-hero who was not an adult’s sidekick. His web dissolves within an hour and yet is strong enough to hold a hulk. His parents Richard and Mary parker were government agents working with S.H.I.E.L.D. They died in plane crash. He was raised by Aunt Jane and Uncle Ben whose death was the catalyst for an ordinary boy turning into a superhero. He has had numerous real jobs including a high school science teacher, a scientist and a business owner. It took 17 long years to get this fictional character onto the big screen for the very first time. During the making of Spider-Man many costumes of the superhero were stolen from the production. There have been 8 Spider-Man cartoons, 2 live action TV shows, and one play. Michael Jackson once tried to buy Marvel so that he could play the role of the superhero. Declan, Tobin. " Facts for Kids about Spider-Man ." Easy Science for Kids, Apr 2019. Web. 18 Apr 2019. < https://easyscienceforkids.com/spider-man-facts/ >.